Olivewood is a new gated community in Beaumont, California. 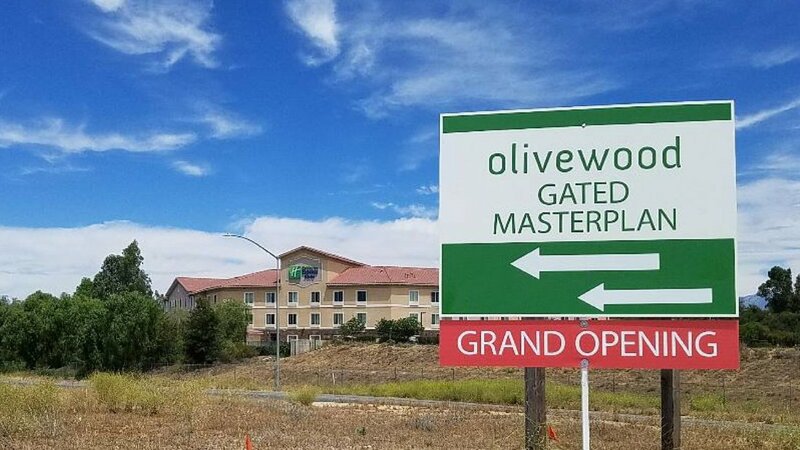 Olivewood held its grand opening and began offering homes for sale in June 2018 and is located in the San Timoteo Canyon area of Beaumont, wedged in between the 10 and 60 Freeways. Olivewood, developed by RSI Communities, currently has three models in the Provence at Olivewood, built by William Lyon Homes, including the Avila model, which is a single story home with four bedrooms, two and a half bathrooms, and a two car garage. The Avila model has 2,401 square feet of living space and starts at $428,900. Also in the Provence at Olivewood, is the Barcelona model, one of Olivewood's two story homes, with five bedrooms, three bathrooms, and a two car tandem garage for extra space. The Barcelona model model starts at $455,900. And the last model at the William Lyon Homes' Provence at Olivewood is the Sevilla floor plan, with five bedrooms, three bathrooms, a full 3 car garage, and over 3,266 square feet of living space! Would you like to schedule your personal tour to see the Olivewood Models? We can help you through the entire process of purchasing a new home, at no cost to you! We can even set you up with a preferred Olivewood lender. Call now to get started!